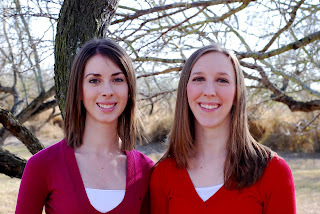 So, if you haven't noticed my blog has a new look! I'm pretty excited about it. My fabulous sister Emily designed the header for me and picked out the coordinating background. In a few more days, she'll have some custom side tabs for me to use as well. Let's take a moment to discuss how awesome Emily is. The only thing I hate about her is that she lives so darn far away! Fargo is too far, Emily. You must come and live by me so we can go shopping and hang out in our PJs watching The Bachelor like the good ol' days. They were pretty great. Now we have to make do with talking on the phone 3 times a week and discussing play-by-plays of our favorite shows. Anyway, she's super cute and awesome. 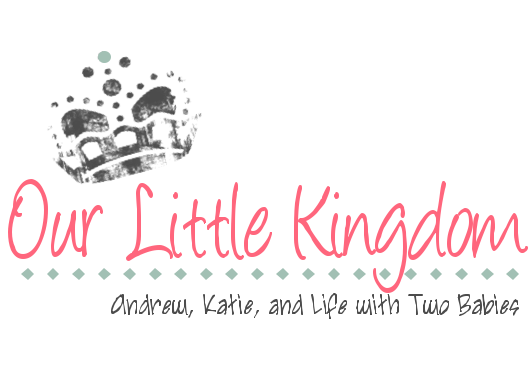 So thank you Emily for the blog header and all the cute things you do for me! Oh, and you can find her blog here. It's pretty fun to read too. Disclaimer: That picture is 3 or 4 years old. Em looks a lot different now. I, however, do not. What does that say about me? I miss the good ol' days too! And I hate living so far away. We need to move back down there as soon as possible. I'm glad you like your new blog design! I love you! A Review: CuteyBaby "That's a Wrap!"